Dr. Janell Vinson is a general pediatrician at Baptist Health Pediatric Clinic-Conway. Dr. Janell Vinson enjoys helping children and is eager to work with patients in the Conway area. Originally from Jackson, Miss., Vinson initially wanted to be a neurosurgeon. “Then I did my surgery rotation during my third year of medical school and quickly decided that I did not want to be any type of surgeon. Then I was thinking that I wanted a career in radiology, which is a super cool area and very interesting but the sacrifice is that you don’t get to do a whole lot of patient care and interacting with families. A general pediatrician at Baptist Health Pediatric Clinic-Conway, Vinson studied medicine at Brown Medical School in Providence, R.I., and obtained her residency at Arkansas Children’s Hospital in Little Rock through the University of Arkansas for Medical Sciences Department of Pediatrics. 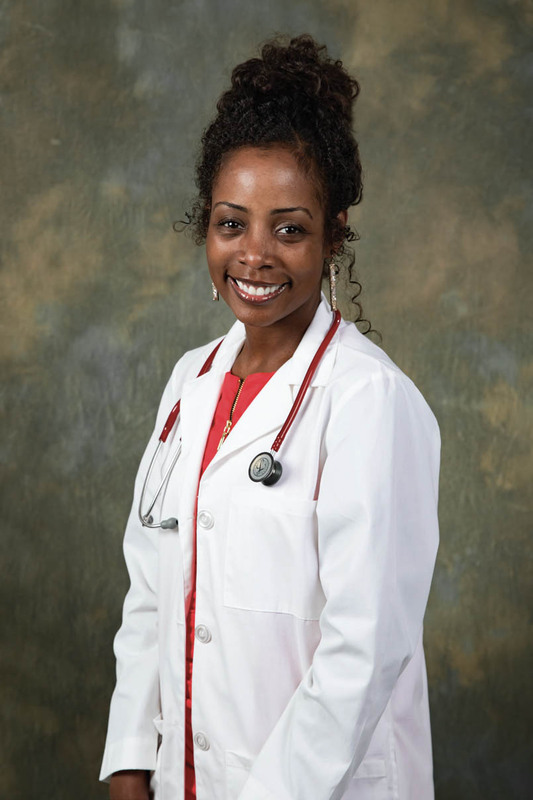 She is board certified in pediatrics, and previously practiced at Merit Health River Region Hospital in Vicksburg, Miss., in general pediatrics. She also worked in pediatrics at Neshoba County General Hospital and Nursing Home in Philadelphia, Miss. When not at work, Vinson enjoys cooking, reading and entertaining friends and family. “I have an amazing family which includes a very supportive husband and four sweet girls.” She and her family attend New Life Church-Greater Little Rock, where they are involved in various activities sponsored by the church. Baptist Health Pediatric Clinic-Conway is located at 625 United Dr. Suite 120. For more information, call 501.358.6892.